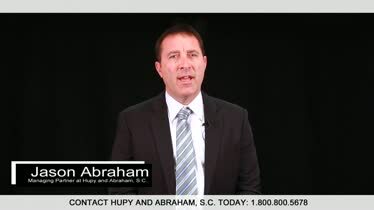 Illinois Wrongful Death Lawyer | Hupy and Abraham, S.C. If you have lost a loved one in an Illinois accident then we are not going to talk about your full recovery, because such a thing may be impossible. There is nothing that anyone can do to bring back your loved one, to give your loved one the opportunity to finish living her life, and to take away the extreme grief that has encompassed your family. As much as we wish we could make this tragedy disappear, we know that we cannot. Instead, we can fight for your fair recovery. We can fight aggressively for the damages that you deserve and we can empathetically and emphatically protect your legal rights. With more than 200 years of combined legal experience and a track record of success in wrongful death claims that gets the attention of defense lawyers and insurance companies, we will do everything in our power to help your family. What Is a Fair Recovery? Medical expenses. This includes any medical bills that your loved one incurred because of the accident. Lost income. Any income or benefits that your loved one is unable to earn because of the accident may be recoverable in a lawsuit or settlement. This includes all lost income beginning on the date of the accident and continuing until the end of what would have been his likely time of death if the accident had not occurred. Loss of companionship and support. Immediate family members have suffered a significant loss of companionship and support and they deserve financial compensation for this loss. Pain and suffering. Compensation for the physical pain and emotional suffering that your loved one endured because of the accident should be included in a recovery. Out-of-pocket costs. Out-of-pocket costs include, but are not limited to loss of household help, funeral costs, and other damages. Punitive damages are generally not allowed in Illinois wrongful death cases. The damages that you can recover, however, may come in the form of a settlement or court verdict. How Can You Get a Fair Recovery? 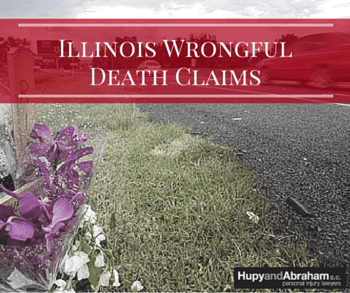 The Illinois wrongful death statute. The Illinois Wrongful Death Act sets forth important information about wrongful death actions including who can bring a lawsuit, who may be sued, and what damages are possible if the lawsuit is successful. The benefits of filing a wrongful death claim. A wrongful death case may allow you to hold the person who killed your loved one accountable and may allow you and your family to recover financial damages. How long you have to file a wrongful death claim. You have the same amount of time that your loved one would have had to file a personal injury case if he had lived, or one year from the date of your loved one’s death, whichever is longer. 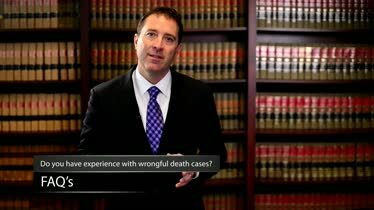 Whether you have the legal authority to file a wrongful death case. The representative of the person’s estate may bring a wrongful death case. This may be the personal representative named in the person’s will, a spouse, adult children, or parent of a minor child. It is important to know that parents may be able to recover for the death of unborn children in some circumstances. How to start a lawsuit. A lawsuit begins when a complaint is filed in court. The complaint must meet all of the court’s requirements. What evidence you need to build a strong case. You will need evidence about what caused the fatal accident and evidence that proves that your loved one’s death was caused by the accident. What kind of expert witnesses you may need. Expert witnesses may be necessary to prove what happened at the accident scene or to prove the value of your damages. Whether you need an attorney. A compassionate and experienced lawyer can take the day to day burden of a wrongful death lawsuit off of your shoulders and help you get the full recovery that you deserve with minimal stress. How to deal with insurance companies. Insurance companies want to pay you as little as possible despite the horrible loss that you have suffered. It is important to recognize that anything that you say to insurance adjusters may be used against you. How insurance settlements work. Fair insurance settlements require skilled negotiation. Typically, formal negotiations start with a demand letter and continue until the parties agree on a settlement amount. By understanding how a wrongful death case works in Illinois and tips for protecting your rights, you can make the decision that is right for you and your loved ones after a fatal accident. What Type of Accidents Result in Illinois Wrongful Death Lawsuits? Car accidents. A car accident may result in the death of a driver, a passenger, a pedestrian, or a bicyclist. If the drunk-driving accident, distracted-driving crash, drowsy-driving accident, truck wreck, or other type of auto accident that killed your loved one was caused by the negligence of another person, then you may have a wrongful death claim. Motorcycle accidents. Often, motorcyclist deaths are caused by the negligence of other vehicle drivers. Slip and fall accidents. A slip and fall from a height or a fall that results in a brain injury, spinal cord injury, or other serious injury could be fatal. Negligent security. Property owners that fail to provide reasonable security on their premises may liable for any fatalities that occur to visitors, guests, or other people lawfully on their property because of that lack of security. Dog bites. Dog owners are responsible for the actions of their pets—including death caused by dog bites, dog attacks, or injuries or infections caused by dogs. Other premises liability accidents. Fires, drownings and other accidents may result in fatalities. Nursing home abuse and negligence. The deliberate or negligent actions of nursing home staff members can result in death for which the nursing home or an individual staff member, is liable. Some examples of nursing home negligence include elopement and overmedication of residents. Dangerous drugs and medical devices. Death is a side effect of some drugs and medical devices—and many patients may not know about this risk when they decide to use the medicine or medical device. If your loved one has been killed in any of these types of accidents, then you need help now. Pursuing a wrongful death claim does not need to be overwhelming and you do not have to do it alone. Instead, you have the right to schedule a free consultation with one of our compassionate and experienced Illinois wrongful death lawyers. Please call us today at 1-800-800-5678 to schedule your confidential meeting today. Legal Representation After a Wrongful Death in Your Family Following a tragic loss in your family, you need to turn to experienced lawyers who have handled many wrongful death claims. Hupy and Abraham, S.C. 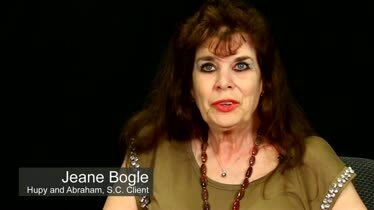 Client Testimonial - Jeane Bogle Hupy and Abraham, S.C. client Jeane Bogle was injured by a driver who hit her in a parking lot. Hear what she has to say about working with the firm. Hupy and Abraham, S.C. Client Testimonial - Carla Fitzgerald Hupy and Abraham client Carla Fitzgerald talks about her recovery after being hit by a driver who was texting and how the law firm was able to help her. 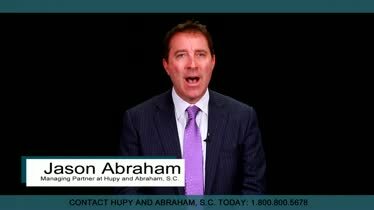 Free Information from the Law Firm of Hupy and Abraham, S.C. Whether you have been in an automobile or motorcycle accident, or are the victim of negligent security, we have informative materials available.